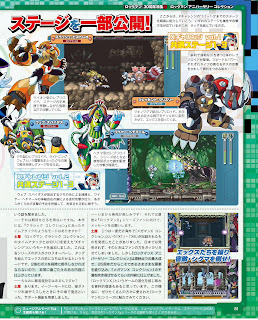 X wears a brand new white and blue armor exclusive to X Challenge. Though it's based on the Ultimate Armor, it's purportedly different enough to be considered new. No specifics available at this time. You can choose up to 3 Special Weapons from 9 available to take into battle. You cannot change your set until you've cleared an area. Special Weapons are from X1-X6. There are a total of 27 stages. Difficulty levels determine the strengths of Mavericks, if your health replenishes into the next stage, and whether or not your remaining time carries over. That's about it for now. Thanks to BlackKite for the info! The X Challenge sounds sweeter every day. This pretty much confirms are suspicions that we won't fight Mavericks from X7 and X8 due to being modelled in 3D. 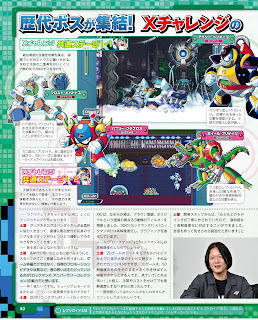 Needless to say, I need that X artwork in HD. You can use Zero; there's already a video of him fighting both Iris and Colonel. That's not official, it's fan made. So not necessarily a confirmation. 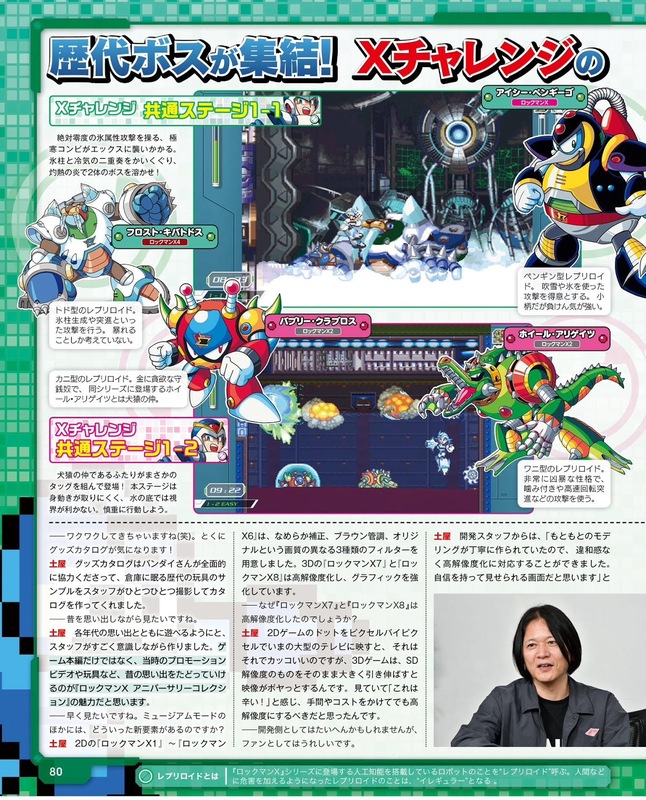 That was likely just a X4 hack and not part of the collection. We haven't seen any footage outside of the Chill Penguin and Frost Walrus fight. That wasn't a hack, just a really well made flash animation. If it was a legit hack, we would be seeing videos from other users already. 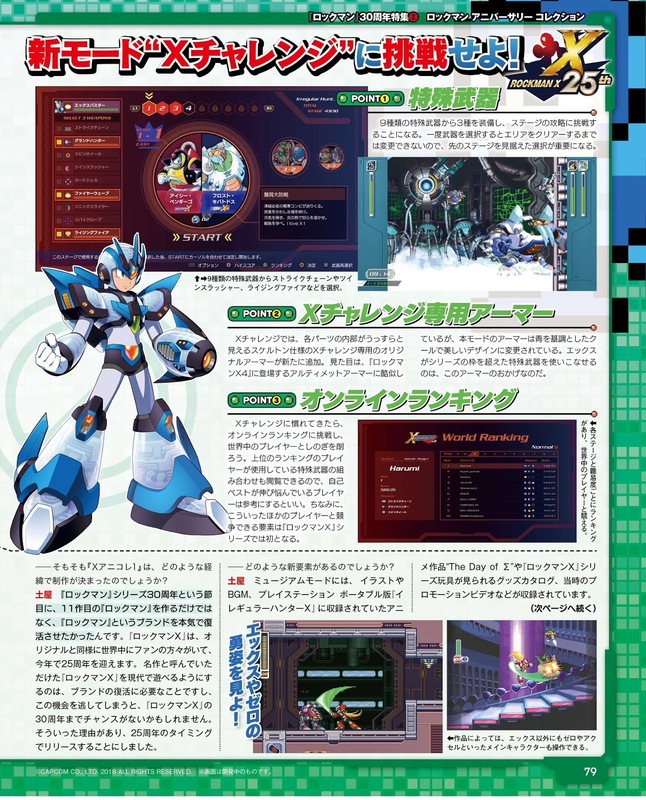 The comment written on the bottom of last page said the museum mode will contains all theme songs, so does it include the OP & ED on PS/SS X3? Can someone confirm which one of these issues is the correct magazine with this specific X challenge coverage? Thanks for confirming. I was a little confused as to way this weeks edition (Thursday 24th) is listed as June 6th. Why is that though? Shouldn't it be the one with today's date? I m so getting PS4 version for 2 discs!!!! A Japanes version. And maybe UK version. Can you even spell Japanese right? And "I'm" has an apostrophe. Jesus. Huh so it has new story content to. I might buy it then. 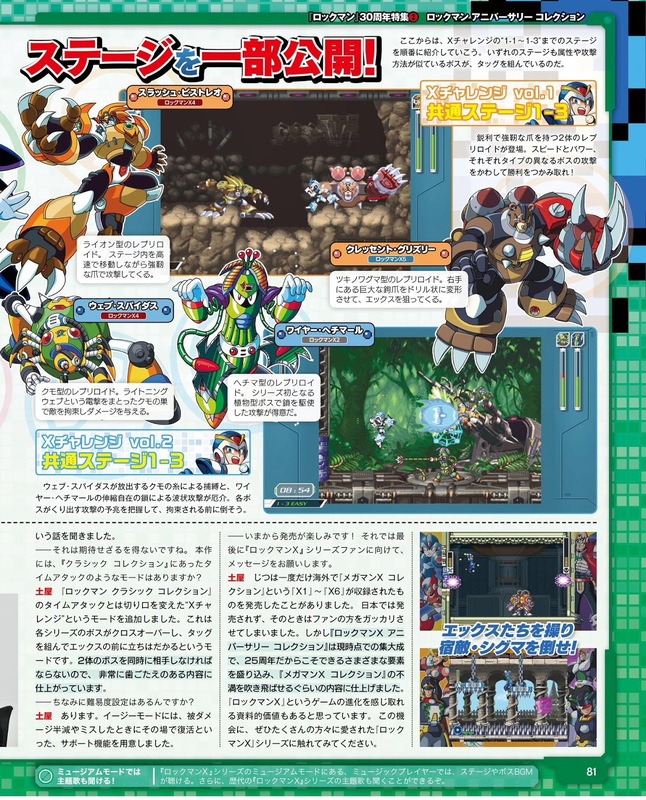 looks like zero in the bottom 2 screens of the first page...what is going on there? No thats just a username.